Are you looking for South Jersey’s best professional organizers? Our members can help you solve your organizing and productivity problems. We are the Southern New Jersey NAPO neighborhood group. 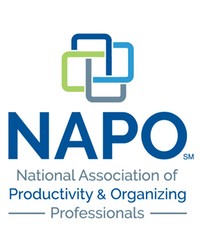 NAPO, the National Association of Productivity and Organizing Professionals, provides education so that its members can offer the highest level of skills in the industry. The mission of our neighbor group is to support each other in delivering the best possible service to our clients through education and collaboration. To learn how we can solve your organizing and productivity problems, click on our pictures below. 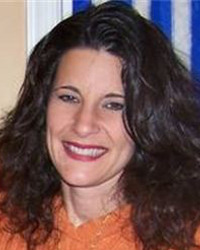 Helene Cullen - Specializing in home organizing, relocation and moving services. Working with my clients to reduce stress and get their life in order. Barbara Berman, CPO® – Residential and Small Business organizer focusing on developing simple systems, being more efficient, & giving you time to do the things you love. Geri Chark Frankel - “Get Control Fast” of your things, papers and time. We are fast, fun and efficient. Specialty: busy families. Nancy Underwood, CPO® - Specializing in Home Organization, staging, redesign, & workshops with a “keep it simple” approach to guide you to your goals. Carole Weinstock - Holistic Approach, De-Clutter's Residentially, Organizational Coaching, Space Efficiency Expert, Wardrobe Consultant, Maintenance Assistance, Transformation Inside & Out. Are you a NAPO member based in South Jersey? Join us in our mission to deliver the best possible service to our clients through education and collaboration. For more information contact Geri Chark Frankel at 856.296.6605 or geri@gcforganizing.com. Kathleen Edelstein, CPO® - Magically Organized exists to bring solace to you. It's my intention to clear clutter to make your life easier. Ellen Faye, CPO® - Business, Productivity and Leadership Coach; specializing in managing time, setting priorities, streamlining systems, maximizing space and optimizing technology. Are you looking for South Jersey’s best professional organizers? Our members can help you solve your organizing and productivity problems. We are the Southern New Jersey NAPO neighborhood group. NAPO, the National Association of Professional Organizers, provides education so that it's members can offer the highest level of skills in the industry. The mission of our neighbor group is to support each other in delivering the best possible service to our clients through education and collaboration. Our members can help you solve your organizing and productivity problems.